I apologise for the lack of recipes and posts recently, it’s just been so busy in the What Claire Baked household. From weddings to babies (not ours before anyone asks!) and parties various, I've struggled to find the time to post. Although, my fellow bloggers also seem to find that summer is when the blogger world goes quiet, so I feel a little less guilty about my distinct lack of posts. This week’s recipe is a simple summer dessert, which feeds 5-6 people. We had Mr WhatClaireBaked’s family over the other weekend and I had time to make this and chill it on the Saturday morning before they came for lunch. Please note - when you are rolling your roulade sponge and it’s cooling PLEASE USE NON STICK BAKING PAPER/PARCHMENT. 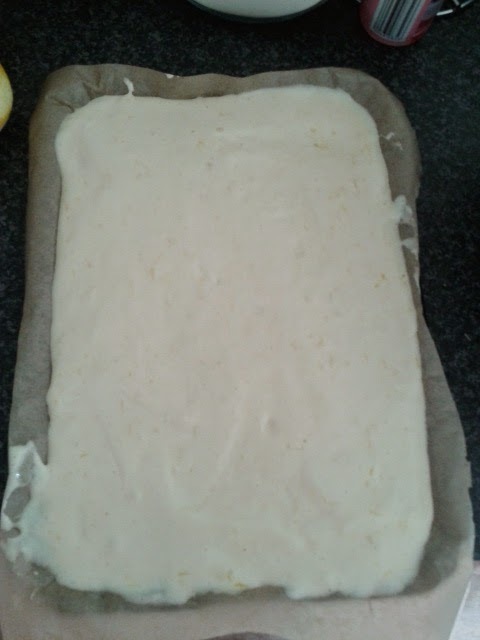 As I discovered (with no time to remake the sponge) ordinary greaseproof paper will stick to the sponge. And pull the top of it off. Clever decoration did mean that the damage was covered, but you know, these little tips might stop you using the foul language I did that morning. If you like roulades, I also have a recipe for Strawberry & Lemon Roulade, if you’d like to give that one a whirl as well. 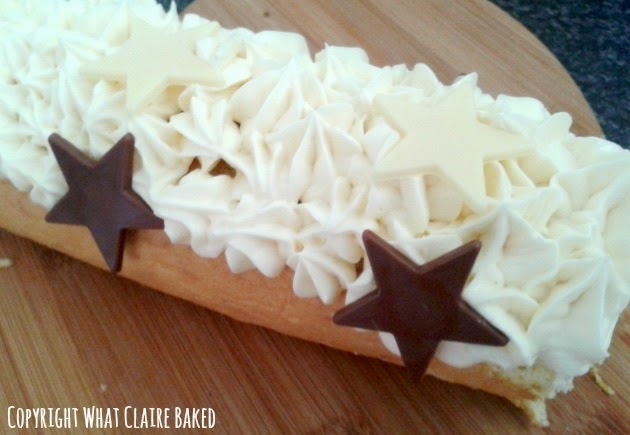 This recipe is adapted from the Razzle Dazzle Roulade found on BBC Good Food’s website. 1. Heat oven to 200c/180c fan/gas 6. Grease a swiss roll tin with a little oil and line the base with baking parchment. Put the eggs, caster sugar and a pinch of salt in a bowl. 2. Whisk the mixture with an electric mixer on medium speed until the ingredients have combined and doubled in volume. Will probably take 4-5 minutes. When lifting out the beaters the mix should ribbon and ribbons should stay on the surface for a couple of seconds. 3. Sift in the plain flour and baking powder and quickly fold the mix together using a metal spoon. Don’t overmix or the sponge won’t rise. 4. 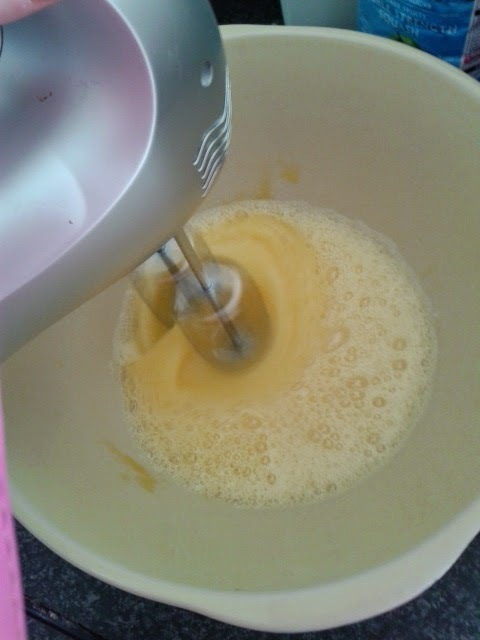 Transfer the mix to the tin and using a spatula smooth out the surface so it’s even. Bake in the oven for around 10 minutes until golden. 5. Remove from the oven and whilst hot, use a knife to score down around 2cm inward, down the long side of the sponge. This will help you roll. 5. Cut another piece of baking parchment, slightly bigger than the sponge and transfer the baking parchment to the top of a clean tea towel. 6. Transfer the sponge to the clean baking parchment so it’s landscape in front of you with the creased section closest to you. 7. Begin rolling the sponge away from you, with the baking parchment round it. Once rolled, cool inside the tea towel. 8. 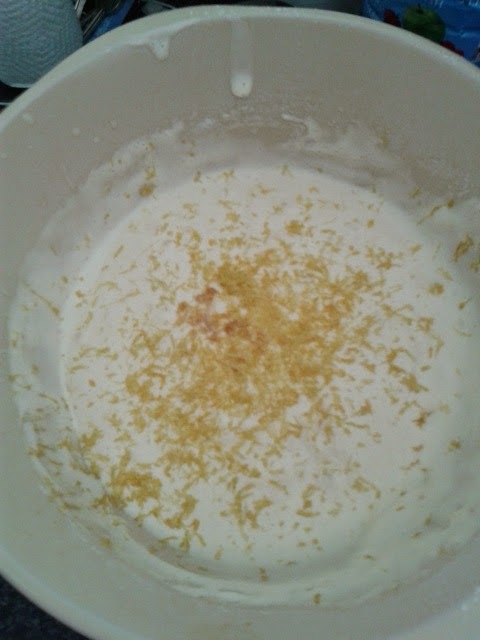 Whilst cooling, transfer the mascarpone, icing sugar, lemon curd and lemon juice to a bowl and mix together with an electric mixer until combined. 9. Once sponge is cool, carefully unroll and use around half the mixture to fill the sponge. Don’t go too close to the edge or the mix will seep out. 10. Re-roll the sponge with the filling and move to your serving plate. 11. Transfer the rest of the filling mix to a piping bag and pipe stars on top of the cake. Finish with mini chocolate decorations and keep in fridge until ready to serve. 12. Cut into 5-6 pieces and serve with single cream. 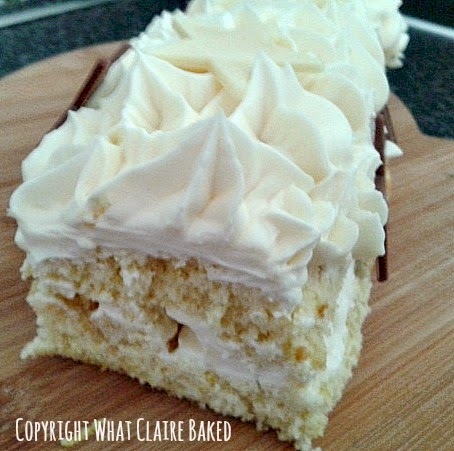 And as usual, I'm entering my recipe into #recipeoftheweek over at A Mummy Too! Thanks so much - hopefully you can give it a go too! Good luck, hope it goes well if you make it!